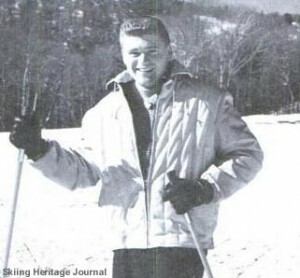 For many of us in the mid-1960s the first day of skiing in a season meant Killington. As autumn conversations turned more to skiing, eventually you’d hear “Killlington opens Saturday!” The news travelled mostly by word-of-mouth. Remember, this was long before the Internet. Skiing fever would take over and plans were made. For me that first day meant getting up before dawn in the dark and trying to find ski gear that hadn’t been used since last April or May. Sure, I could have done this the night before, but I believed in that old adage: “Never do today what you can put off until tomorrow” – just like young males everywhere still believe today! In a good year I found all my gear before my buddies arrived to pick me up. After some early excited chatter, most of us dozed (except for the driver) through the almost four hour drive to Killington. We’d arrive at Killington by 10:00AM along with what appeared to be about a thousand other excited skiers. In those days the early season snowmaking was done on Snowshed, the beginners area. You had what looked like a football-field-size patch of snow to accommodate the thousand skiers of all abilities. But it was skiing! You tended to take non-stop runs not just because of the shortness of the slope, but with the number of skiers, if you stopped, it was hard to get back into traffic! Sort of like merging on a Freeway from a dead stop. Oh, and usually they had the snow guns going which further complicated finding a route. Since the temperature was often borderline for making snow, get too close to the guns and you were soaked by the slurry being spewed by the guns. By 3:00PM the thrill was gone, we were tired, wet, and our feet hurt. On the way home we’d stop and the one guy who was of legal drinking age would buy a six pack for the ride home. After a beer and some post-skiing chatter, most of us dozed for the rest of the ride home (except for the driver…. I think). In the early 1950s Preston Leete Smith, better known as “Pres” Smith, decided he wanted to start a ski area. He quit his job in Connecticut and came to Vermont looking for a place to start one. A fortuitous meeting with the inimitable Perry Merrill pointed Pres in the direction of Killington. There were a couple major obstacles: Pres Smith had no money and there was no road access to the proposed area. Pres Smith hit the road searching for potential investors while Perry Merrill began lobbying the Vermont Legislature to build an access road. Both men were successful although the amount of financial backing was meager by ski area standards. A lot of sweat equity went into the building of Killington. In his recent remarks upon induction into the Vermont Ski and Snowboard Hall of Fame, Pres Smith described how they encountered ledge in putting in lift towers. They didn’t have enough money to bring in a jackhammer to break up the ledge, but instead did it manually with sledge hammers. And Pres was right there swinging a sledge! 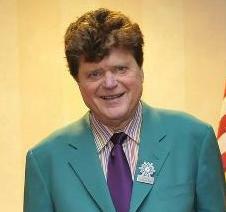 Pres Smith was a visionary in the ski industry. He recognized that snowmaking wasn’t just for “southern” ski areas, but could be used to lengthen ski seasons and guarantee skiing for the customer. He championed ski teaching techniques such as the Graduated Length Method that accelerated the learning curve and got people on the slopes quicker. Pres Smith’s goal was to make Killington the biggest ski area in the East and he achieved that both in terms of skiing and financial success.